Massive 50% Discount. Call now on +44 020 8992 4506 and start with the registration. Call now on +44 020 8992 4506 and start with the registration. Join today and gain AAT qualification with work experience and become more employable. In 2017 we placed 782 candidates in accountancy jobs. You could be the next one. NOTE: Classes will take place every SUNDAY from 10 am – 3 pm in our Park Royal office. We have a 97% pass rate which means you’re more likely to pass with KBM. This is a class based learning program and you will also get one to one sessions with the tutors to identify your strengths and weaknesses so that we can enrich your learning experience with us. 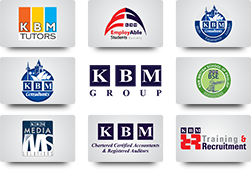 As we are a firm of Chartered Certified Accountants, we also help each candidate in getting the Accountancy Work Experience. So by adding Work Experience to your AAT Level 4, we can help you in getting AAT full membership (MAAT) which is an internationally recognised professional status in accounting and finance. It demonstrates a high standard of education and experience to employers and clients, along with a commitment to development and keeping your skills current. In AAT Level 4 Diploma you will cover higher accounting tasks including drafting financial statements, managing budgets and evaluating financial performance, as well as optional specialist units including business tax, personal tax, external auditing and credit management and cash and treasury management.